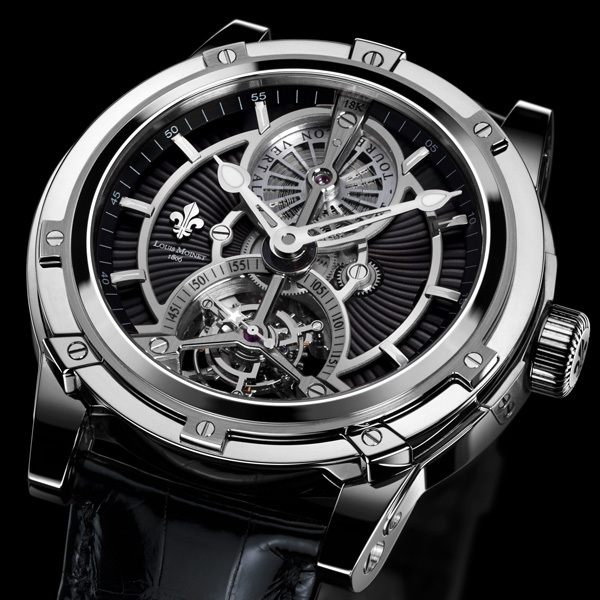 Ateliers Louis Moinet’s Vertalor is ushering in a new aesthetic era. 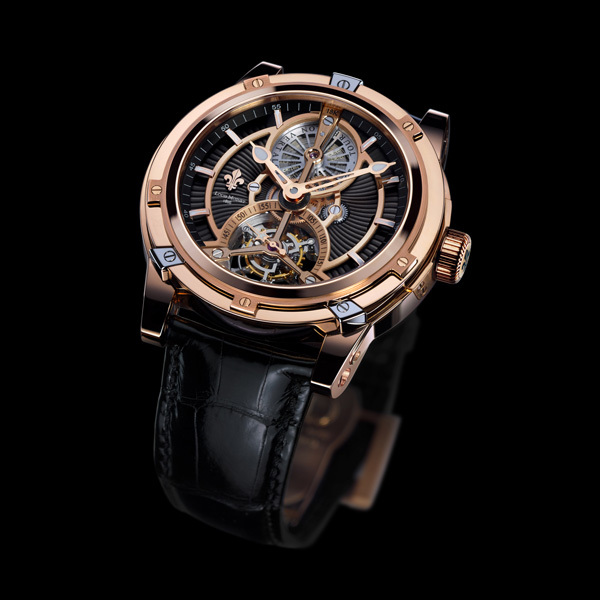 Featuring a tourbillon with a cage hung beneath a three-armed gold bridge, it embodies the creative independence of the Ateliers, celebrating their tenth anniversary this year. The Vertalor expresses all the technical and aesthetic quintessence of Ateliers Louis Moinet, and is one of the finest expressions to date of what makes this independent maison based in Neuchâtel so singular. 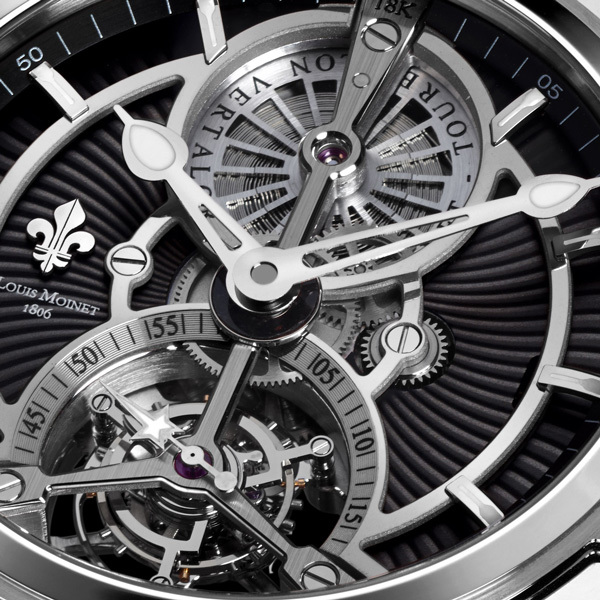 It also marks the first time that a tourbillon cage has hung from a three-armed bridge made from solid gold. The architectural theme of suspension continues with the Vertalor’s barrel, the cover of which also hangs from a gold bridge. Indeed, the gold bridge construction forms the backbone of the Vertalor – and heralds a completely new approach to open-dial watches.